It’s summertime, which means it’s hot + humid. Very hot, + very humid, to be precise. To me, that’s the perfect weather for light, refreshing drinks. So, the other day, I decided to make this new-to-me twist on limeade. The original recipe called for this to be Cucumber-Mint Limeade, not Cucumber-Basil. When I started making this recipe, I got the lime syrup started on the stovetop, then ran outside the garden to cut some fresh mint. Uh oh – Our big container of fresh mint? Was very dead. I panicked for a second, then remembered that we grow all sorts of other fresh herbs. Surely there was something else alive + well that I could substitute? I spotted some gloriously healthy-looking basil + decided that would do. And wouldn’t you know it? In the end, I’m glad I was forced to make that substitution. The cucumber, basil + lime all work SO well together. The end result is absolutely delicious – bright, crisp, citrusy, + fresh, with just the right hint of sweetness. I loved it as a non-alcoholic drink, but for those of you wanting to spice it up, try adding a splash of rum, or substituting sparkling wine instead of sparkling water. I know that you’ll love it either way! In a small saucepan, bring the sugar, lime zest + 1 cup water to a simmer over medium heat, stirring constantly until the sugar dissolves, about 6 minutes. Remove from the heat + stir in the basil leaves. Let cool for 30 minutes. Strain the lime/basil syrup through a sieve into a pitcher. Add the cucumber + lime juice; refrigerate for at least 1 hour. Just before serving, add the sparkling water. Serve over ice. I love that you changed up the mint for basil, what a great addition and such a lovely and refreshing combination of flavours! Ooo, that sounds incredibly refreshing! You know basil is in the mint family, so I’m not surprised it made such a good sub! 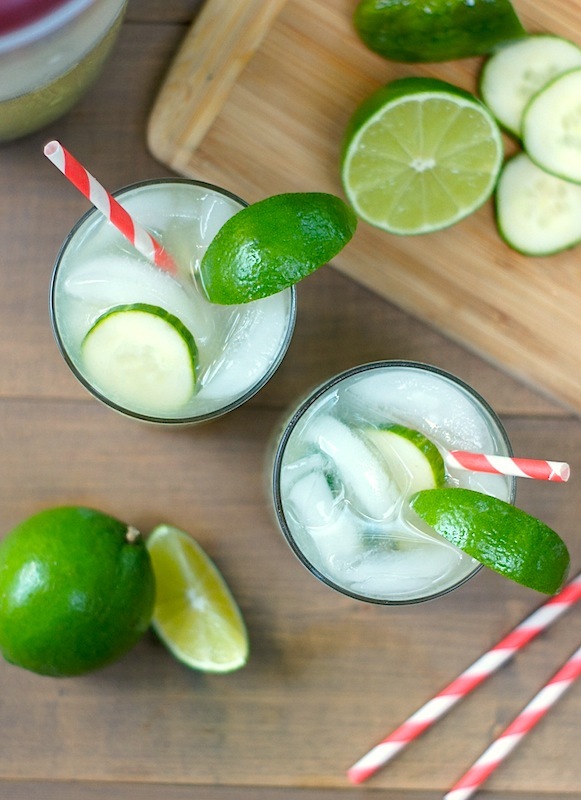 I love adding cucumber to drinks, such a refreshing flavour! 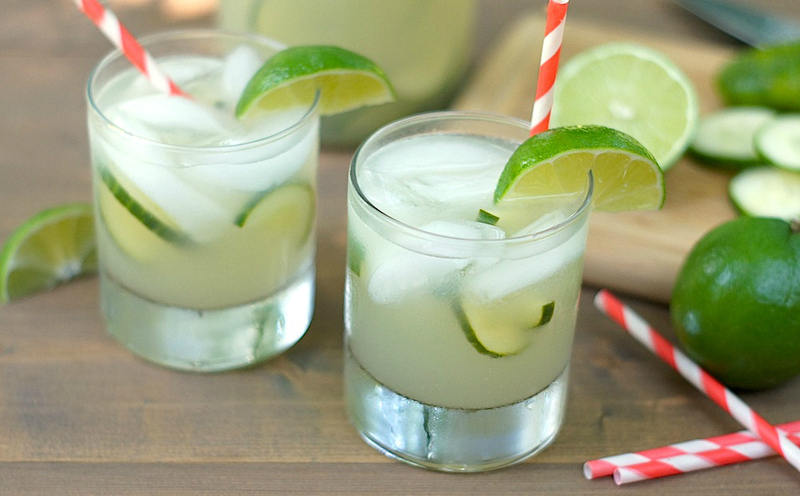 This limeade looks perfect! cucumber + lime are already favorites for me, so adding in basil sounds like a delicious twist! this should be a staple in the fridge for great front porch sipping. basil is such a beautiful thing – goes so well with drinks, salads, or pasta sauce. I definitely know the feeling of walking outside to pick an herb and seeing it wilted and sad! However, basil sounds so wonderful with cucumber and I love limeade, so this looks so delicious and refreshing. Holy moly! Pass me a glass! You have no idea how badly we need this here in Austin… well, actually, yes you do. You live in Nashville! Love this, Amy. This sounds great, quite the happy accident I’d say. Good for you to move on and improvise once you saw your late lamented mint. 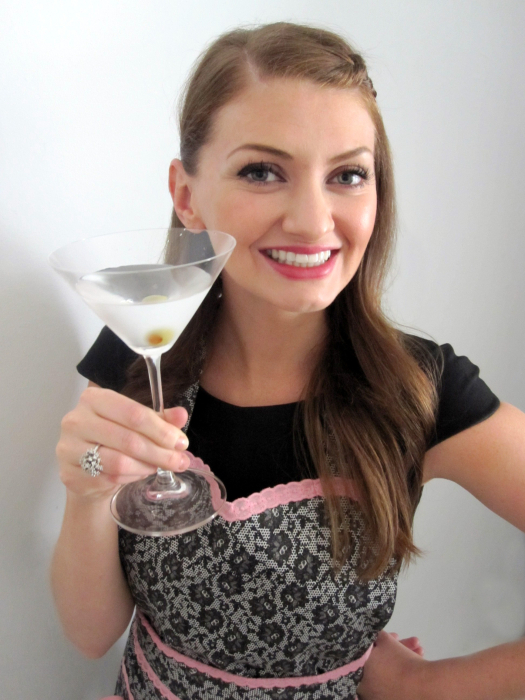 I love basil simple syrup, and I use it in all sorts of preparations all summer long. From lemonade, to fruit salads and basil smoothies, it comes in quite handy. Your drink looks beautiful, and the variations all sound tempting. I must try it! I thrilled to see that you are your busy self. It seems motherhood agrees with you. I hope Baby and Dad are likewise doing well. Oh Amy these look so refreshing and beautiful! This drink looks incredibly refreshing! And I love that you swapped the mint for basil. This sounds great and the cucumbers in my garden should be coming in soon! What a perfect combination for a refreshing summer drink! Well, you know I’m not upset about your dead mint. I think it was meant to be. This sounds delicious! So pretty! So refreshing! So… perfect! I think I like the cucumber basil mix better than cucumber mint. Really I’m down with any fresh herb – you can’t go wrong. This is a perfect summer drink!! After the heat this week, something like this is totally welcome in my house! It looks so refreshing and crisp and delicious. Basil sounds like a great last-minute addition. I’m glad you found a substitute! This looks so wonderful–I can’t kill mint no matter how hard I try, so it’s funny to me that yours was dead. Of course, I never thought to corral it in a container, mine just flows all over the place. Here I’ve planted the mint where it’s boxed in by the driveway and can’t go all over. So refreshing & so pretty! Sounds perfect with the basil! Amy, this looks so refreshing. I’m surprised your mint was dried up. That stuff grows like a weed. I love the basil combo. Yum! This sounds super yummy. I just planted a purple basil plant so I think this will be its first mission. Perfect flavors for a hot, humid, summer day in the South! This looks so refreshing and perfect! My mint is all dead too! I thought I heard it was the never-ending herb…. My basil, however is flourishing. This limeade sounds so unique and refreshing!